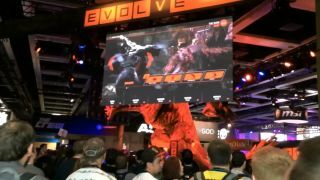 Evan, Tyler, and PC Gamer's intrepid video crew are home from PAX Prime , only moderately bruised from bouncing through the massive crowd that swarmed the Seattle convention center last weekend. Before we left, we used Instagram's new Hyperlapse app —which is pretty cool, and free—to create a high-speed video tour of the show. Watch this to see, very quickly, what it's like to navigate the oceans of gamers and maze of booths—and keep watching our PAX Prime 2014 playlist for all of our videos from the show. Absorb all of our stories from PAX Prime . This week, we'll be giving away an ASUS ROG GL551 laptop signed by everyone we interviewed at the show.